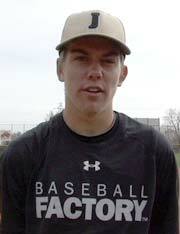 The Road to Wrigley for Nick Pratto has taken him to many baseball fields around the world. 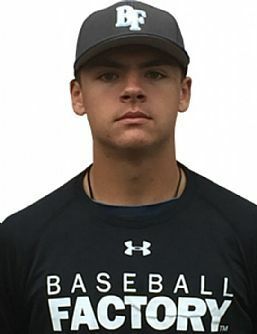 The 2016 Under Armour All-American played internationally as a member of last summer’s USA Baseball 18U National Team and has played in national tournaments throughout the US for his high school and summer team. Our first look at Nick, however, was earlier than that. Our Baseball Factory staff first saw Nick in Williamsport, PA representing the West in the Little League World Series. Nick’s walk-off single with the bases loaded beat Japan in the Championship Game giving his Huntington Beach team the 2011 crown. Pratto’s same sweet left-handed swing that was on display back then is still alive and well today. He is a confident, mature hitter with great rhythm and natural instincts for the barrel. He handles both velocity and off-speed stuff well, and has the strength to drive balls out of the park. He is a very complete young hitter with no glaring weaknesses making him very difficult to pitch to for opposing teams. As he showed back in 2011, aside from the physical tools he is a clutch performer who relishes the big stage. Defensively, Pratto is a sure-handed first baseman with fluid actions and a great feel around the bag. He also possesses enough athleticism to play either corner outfield spot when called upon. In addition, Pratto can jump on the mound and the LHP will show a good feel to pitch with his upper 80s fastball, breaking ball and change. In fact, last summer he haunted Japan again by earning the victory on the mound in the gold medal victory over the host team in the WBSC 18U Baseball World Cup. Nick can positively impact the game in a lot of ways, and those skills will be on full display at Wrigley Field on July 23rd at this year’s UA AA Game as Pratto has officially been announced as among the next seven selected on May 19. We can’t wait to see what he has in store, as he always seems to rise to the occasion.